Microscope World recently wanted to compare two different microscopy cameras for quality and differences in color. The two microscope cameras included the DCM5 documentation camera (5 megapixels) and the HDCAM4 high definition camera (2 megapixels). The onscreen resolution and image quality from the HD camera is amazing, so there was a question as to how the captured image would match up to the onscreen quality. 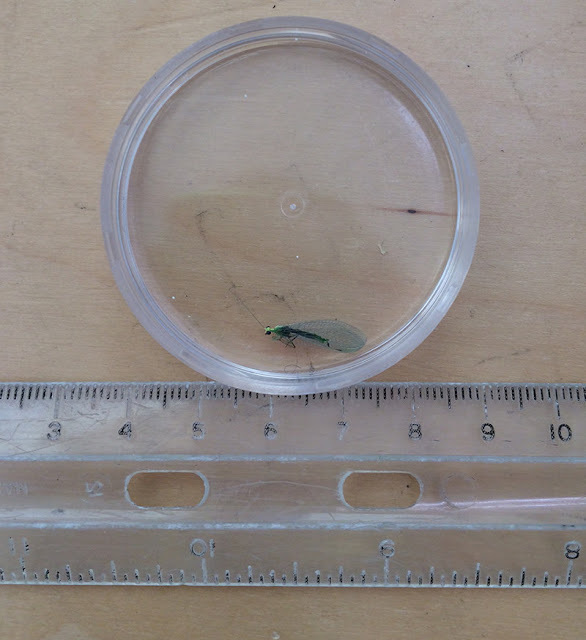 To give you an idea of size, this is the insect that was placed under the microscope. Insect used under the microscope. The images below were captured using the S6.7 Trinocular Stereo Zoom Microscope. Insect captured with S6T-LED stereo microscope and DCM5 Microscope Camera at 6.7x. 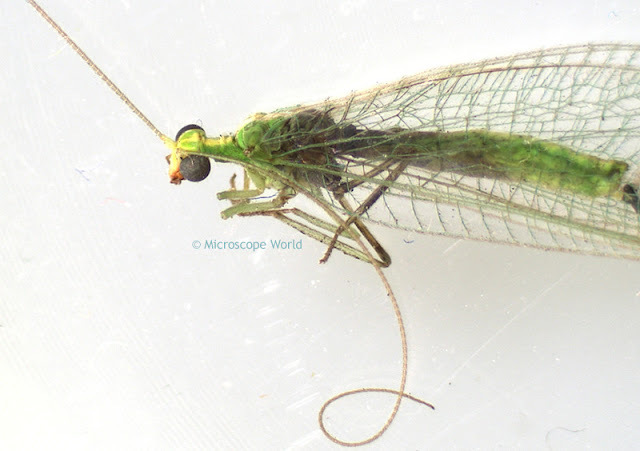 Insect captured with S6T-LED stereo microscope and HDCAM4 Microscope Camera at 6.7x. 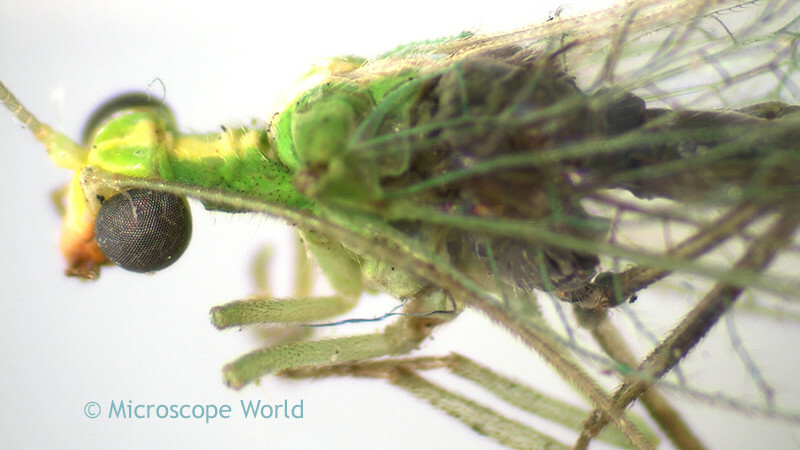 Insect captured with S6T-LED stereo microscope and DCM5 Microscope Camera at 20x. 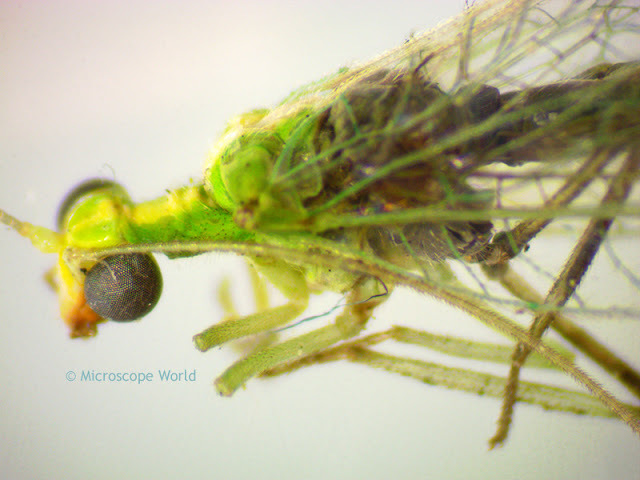 Insect captured with S6T-LED stereo microscope and HDCAM4 Microscope Camera at 20x. The color in the DCM5 microscope camera are a bit brighter than those in the HD microscope camera, but overall the image quality was similar. 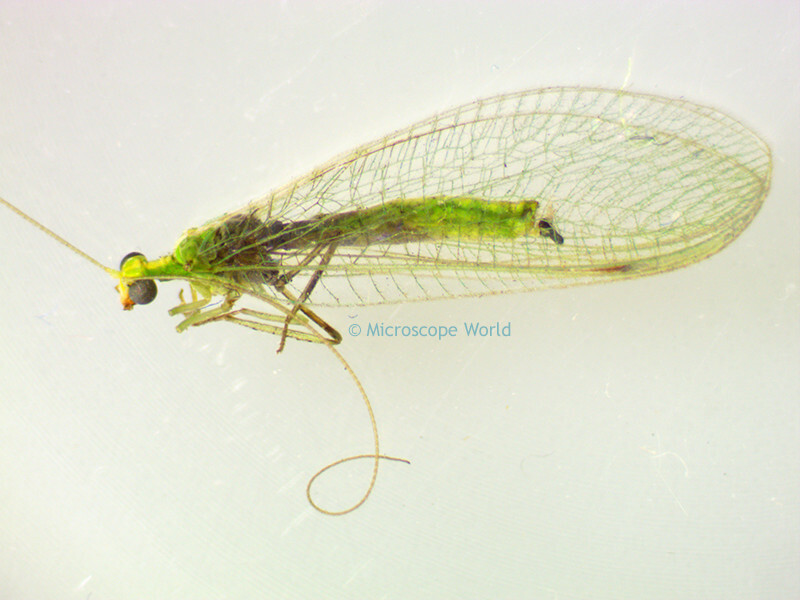 If you have questions regarding microscope cameras please contact Microscope World.